Immerse yourself in legal marketing tips, strategies and techniques from the experts and your peers. Each video, with accompanying materials, will teach you about marketing your practice including how to do it right – and wrong. Find out how marketing is not just about promoting your practice, but also about providing great customer service to keep your newly gained clients coming back. As a CBA member, you can earn IL MCLE and Professional Responsibility Credit for this day-long course by registering and watching online or you can watch individual segments below for free (no IL MCLE or PR credit). The legal industry is changing. It’s a competitive, crowded market. Potential clients are savvy, smart and skilled – using the Internet to make their hiring decisions. To stay one step ahead of the competition, technology must be a part of an attorney’s daily routine. In this presentation, Mark will provide an overview of 10 legal marketing and business development challenges, and how different technology tools are available to turn those perceived issues into opportunities. From community networking, online marketing and client communication – this session will cover the latest technology tools to help you manage your marketing and grow your business. Speaker: Mark Britton is the Founder and CEO of Avvo (www.avvo.com). Mark is a 20 year lawyer who has been a central figure at the intersection of the Internet and professional services for over a decade. Prior to founding Avvo, he was the Executive Vice President of Worldwide Corporate Affairs of InterActiveCorp Travel (IACT) and Expedia (NASDAQ: EXPE). Attorneys are faced with a difficult challenge in today’s digital age especially how to manage their online presence. There are several areas of social media that can cause major ethical violations for attorneys including: discovery issues, solicitation, client confidentiality, candor to the tribunal and more… In this session attorneys will learn how to create effortless social media campaigns saving time and money while avoiding costly ethical violations. Speaker: Jabez Lebret is co-author of the Amazon #1 best-selling legal technology book Online Law Practice Strategies. Jabez writes a regular business and technology column for Forbes and is also an occasional contributor to the ABA Journal and NBC Chicago. Jabez is also co-founder of the law firm marketing agency Get Noticed Get Found, Inc. Virtual law practices have been met with a lot of skepticism, and often misunderstood. Virtual Firms are practices who leverage technology to lower costs, keep clients engaged and happy all while making it easier for their employees to do their jobs. These Technology enabled firms are nimble, flexible, have positive relationships with their clients but rely heavily on content and grass root marketing strategies. Understanding how your business can benefits from adopting a habit or two from the original Virtual Practices of the world can help you cut costs and create clients. Speaker: Chelsey Lambert serves as Trainer & Coordinator of the Chicago Bar Association’s Law Practice Management & Technology Center. Chelsey’s role is to bridge the gap between the education attorneys and legal professionals need, with availability, variety and access. She has consulted law firms in the US and abroad on the use of technology, ecommerce and the secure delivery of legal services online under various organizations since 2006. Earning meaningful organic search traffic is part technical web design and development and part supplying your target audience’s demand for information. In this seminar, we’ll discuss how lawyers can increase their visibility in search results and earn the kind of attention that translates into clients. Considerations on issues specific to law practice will be covered. Speaker: Gyi Tsakalakis helps lawyers put their best foot forward online because that’s where clients are looking for them. As a former lawyer, Gyi is familiar with the unique considerations of marketing a law practice. He founded AttorneySync, a digital legal marketing agency, to help his clients realize a return on their web marketing investments. His team focuses on SEO and paid search management specifically for lawyers. This session will address the most frequently asked questions and concerns that attorneys have about legal marketing and attorney ethics, including the ethical considerations and implications in social media. Speaker: Will Hornsby has served as Staff Counsel at the American Bar Association for more than 25 years. Will has authored an array of materials including books, white papers and law review articles on issues related to ethics, technology and client development in the legal profession. In this session a panel of practicing attorneys will engage in a moderated discussion of marketing their law practice online, including strategies and best practices they’ve gleaned from successfully marketing their business online in different and interesting ways. Catherine Sanders Reach is Director, Law Practice Management and Technology for the Chicago Bar Association. 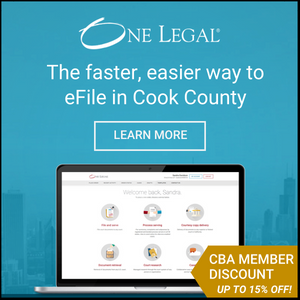 She was the Director at the American Bar Association’s Legal Technology Resource Center for over ten years, providing practice technology assistance to lawyers. After graduation from law school, Charles Beach began work for the Cook County Public Defender, where he was stationed at the Chicago Traffic Center. He has been elected chair of Chicago Bar Association Traffic Law Committee five times. Mr. Beach is an author on Practice and Procedure at the Chicago Traffic Center for the Illinois Institute on Continuing Legal Education. Mr. Beach received his J.D. from DePaul DePaul College of Law and his B.S. in finance and insurance from Michigan State University. Daliah Saper is the principal of Saper Law and is regularly interviewed on national TV, radio, and in several publications including: Fox News, CNBC, ABC News, The Chicago Tribune, WGN Radio, NPR, and a slew of smaller websites. In 2013, Law Bulletin Publishing Company selected Daliah Saper as a “40 under 40,” an incredibly competitive list of accomplished attorneys compiled from over 1250 qualified nominations. Kevin Thompson practices primarily in the area of domestic and international trademarks, copyrights, and internet law issues. He helps clients protect their intellectual property online, including domain name disputes and through negotiations. He helps drafting terms of service and privacy policies. Kevin is the author of the legal weblog Cyberlaw Central, located at www.cyberlawcentral.com. Stephen Hoffman has personally handled nearly every type of legal dispute that exists and has tried dozens of cases in the courts and hundreds in front of arbitration panels. The types of legal matters that he has worked on over the years have ranged from medical malpractice cases and wrongful death matters to slip and fall injuries, motor vehicle crashes, roadway accidents, defective product claims, and workplace injuries. Stephen is an active member of the Chicago Bar Association and the Illinois Trial Lawyers Association.